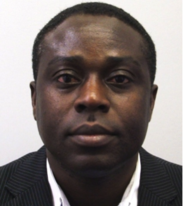 Francis holds MPhil degree in GIS and Remote Sensing from the University of Cambridge, and MSc in Environmental Change and Management from the University of Oxford. He had previously studied for his B.A. in Geography and Resource Development at the University of Ghana. His expertise in in the areas of GIS and remote sensing analyses, crime mapping, environmental crime, migration and crime.